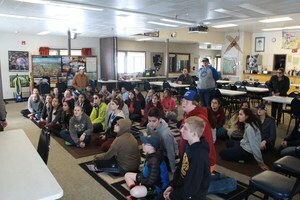 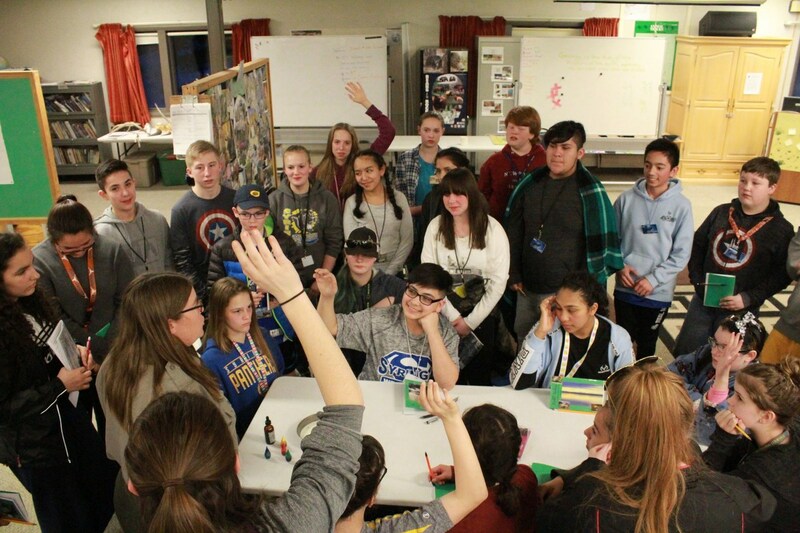 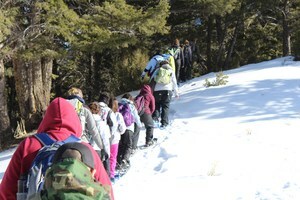 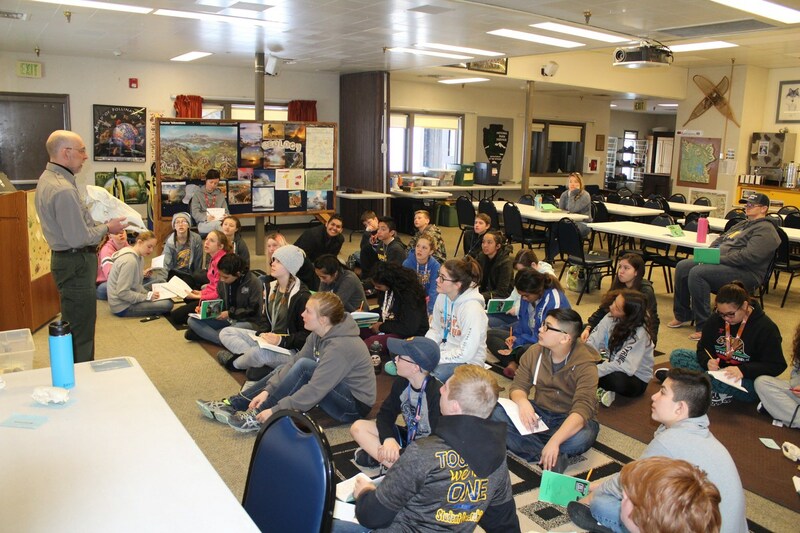 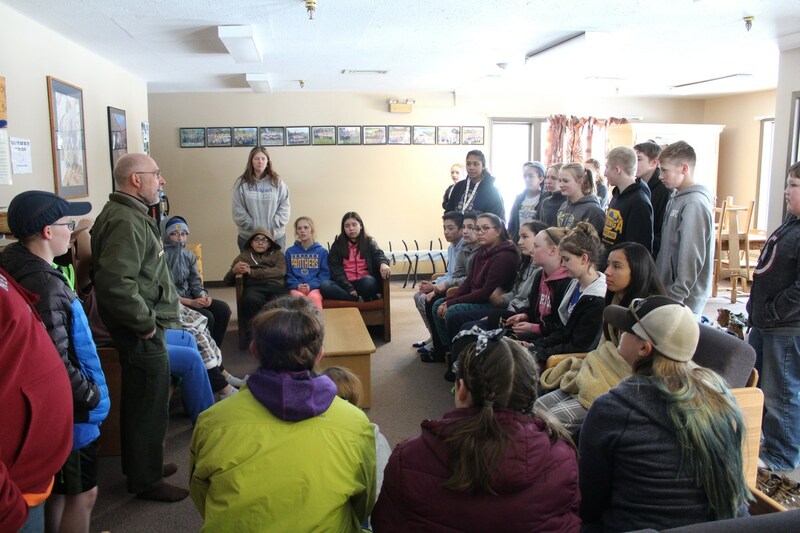 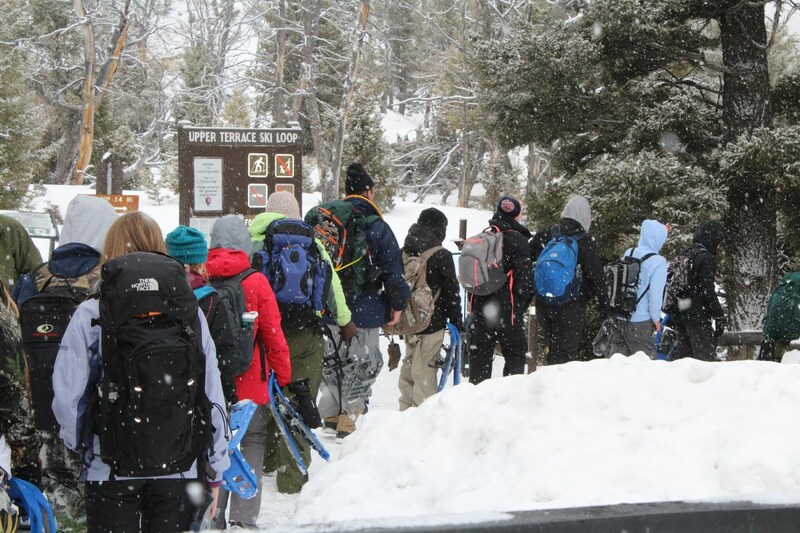 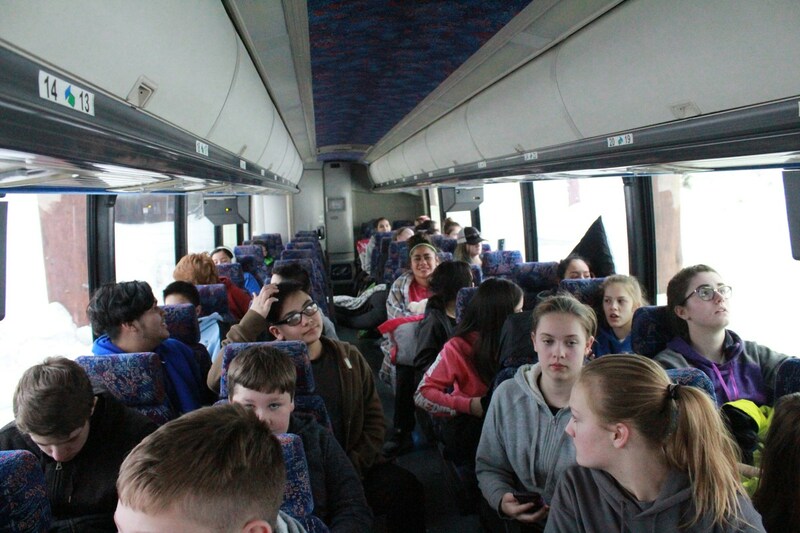 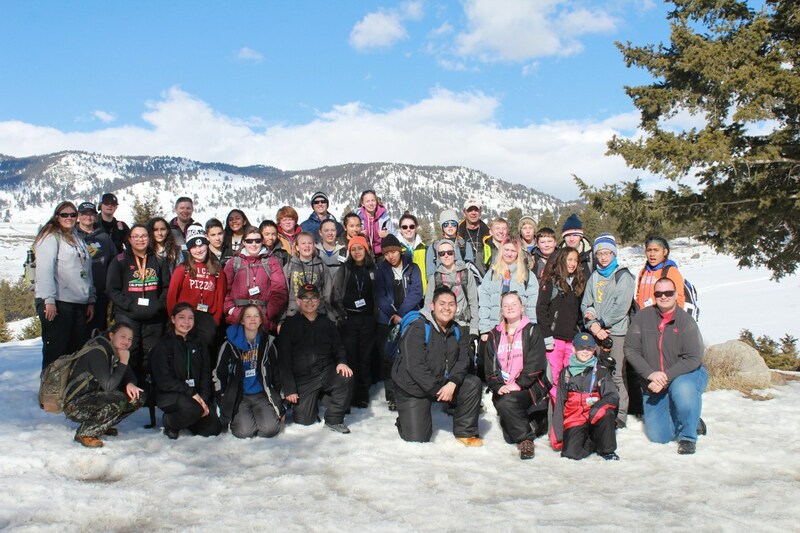 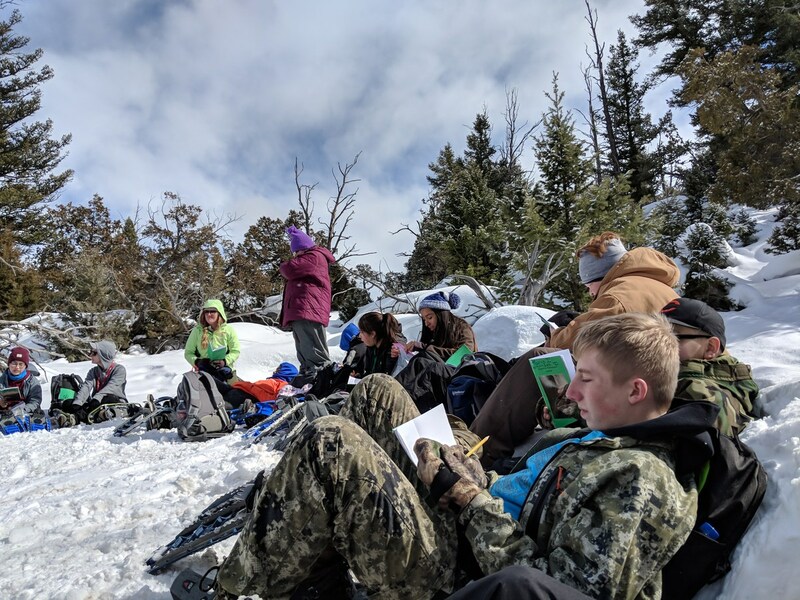 Both Syringa and Jefferson Middle Schools had a combined 32 students and six staff members travel to Yellowstone for a 4-day trip to study ecology and geology. 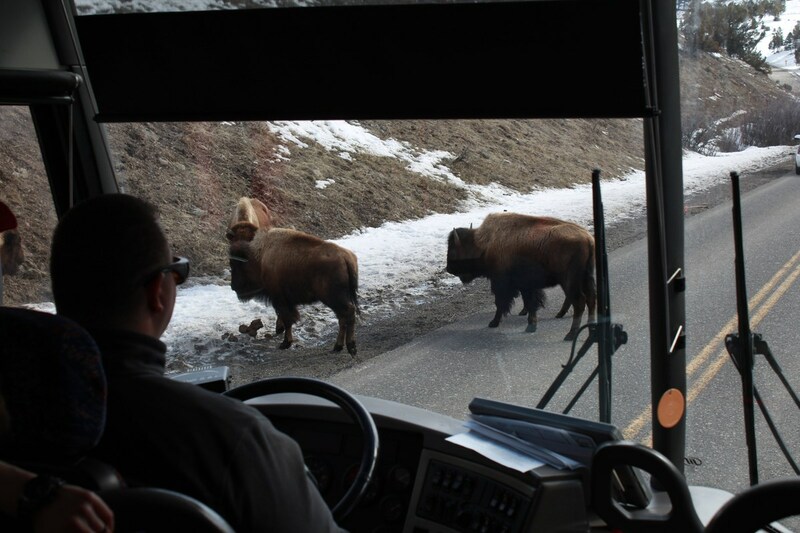 In Yellowstone, while we saw many interesting things, the things that we learned overruled them every time. 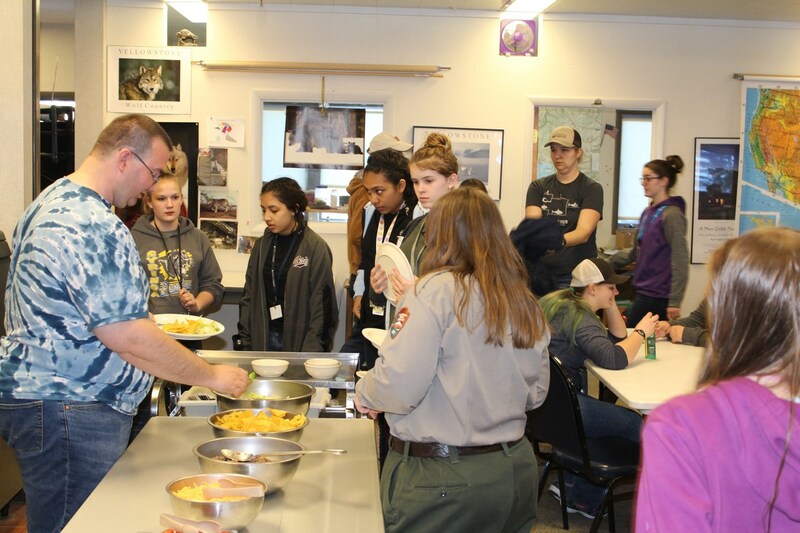 While we cooked, cleaned, and did science with our clan, we learned how to better communicate and work as a team. 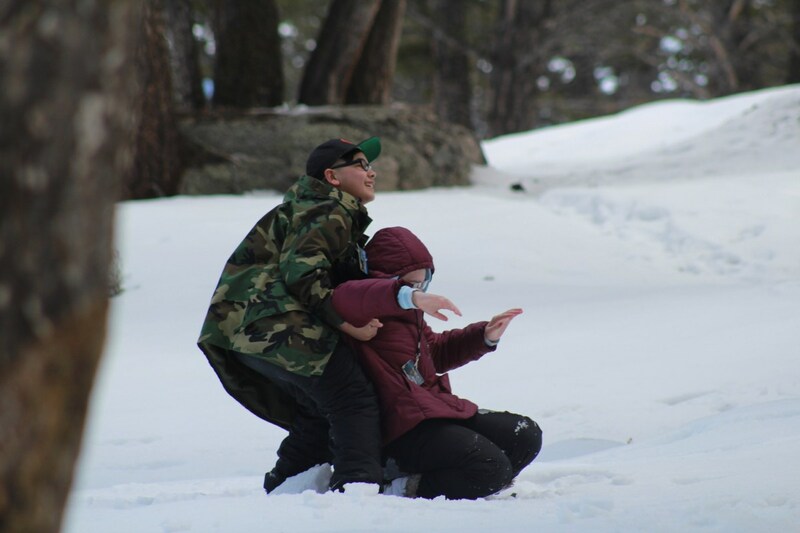 When we went on hikes, not only did we learn about the constant circles in our ecosystem and our environment, we learned perseverance and how to survive in snowshoes. (It’s harder than you might think.) 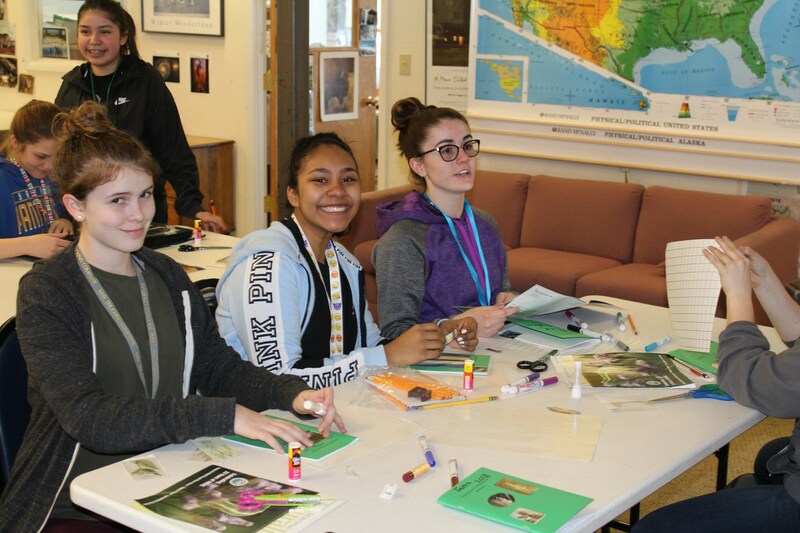 In classes, we learned how to figure out if an animal is an herbivore, carnivore, or omnivore, if it’s predator or prey, or what animal it is, just by the skull of the animal. We also learned how to look at hot springs and other thermal features and know why it is there. 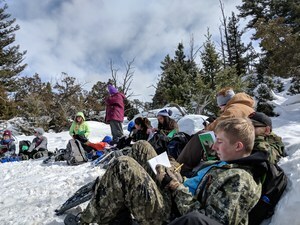 Even better, several students discovered not even that they can live without their phones, but also how to turn their phone off. 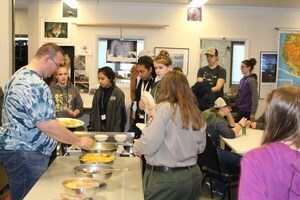 Overall, some of the most important things we learned were the fact that everything is interconnected and the connections between both animals, plants, and humans alike. 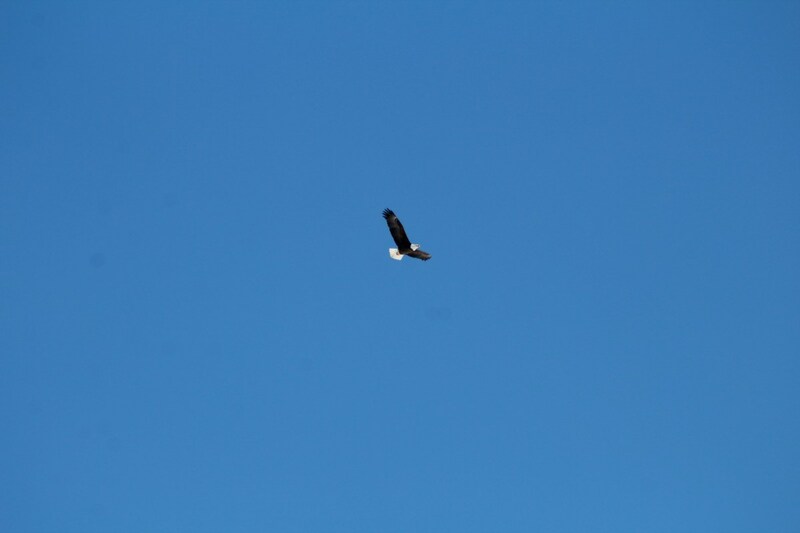 On the Yellowstone trip, we saw many things. 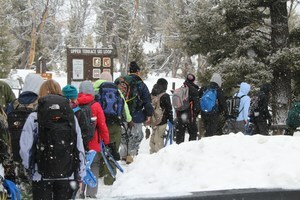 Waking up in the morning was both full of sleepy people and snow. 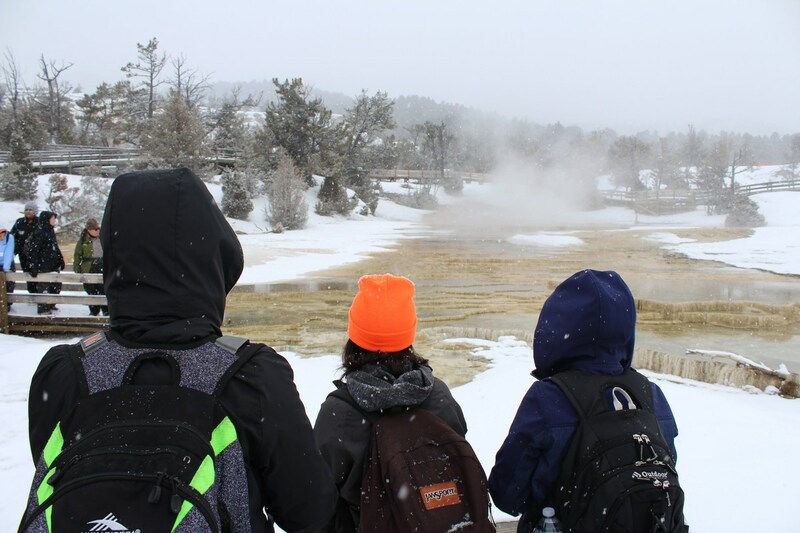 On the first hike we saw many things, hiking we saw bison, Clark's Nutcracker, many different hot springs that were living canvases of color. 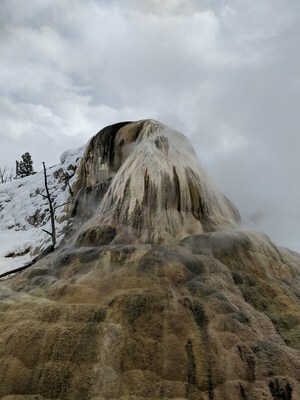 Orange, red, brown, green, blue, and cream bacteria decorated the rocks around steaming water. 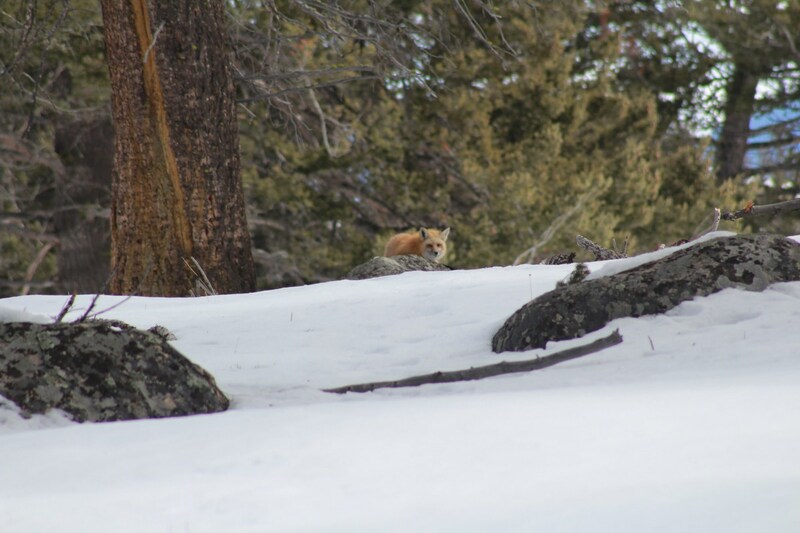 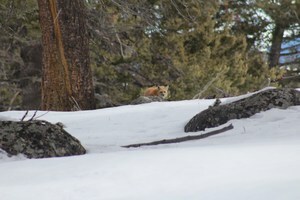 On the second hike, we saw more bison, but we also saw huge elk, a curious red fox, a herd of pronghorns, red-tailed hawk, bald eagle, snowshoe hare, and heard the cry of coyotes. 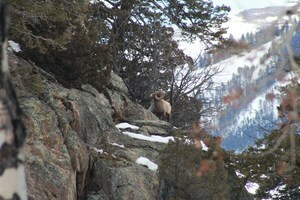 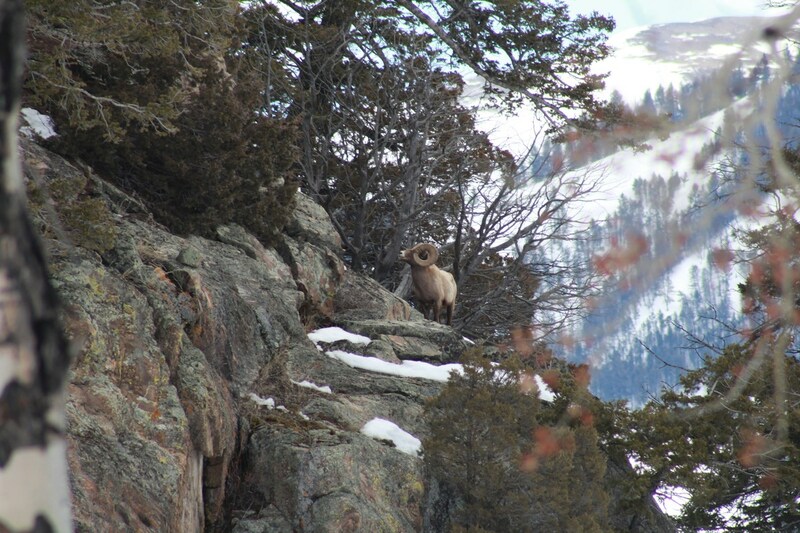 Both big horned sheep and bison came close to us. 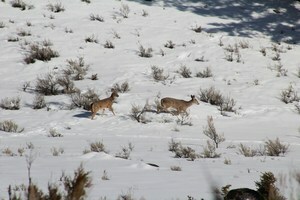 One of the best parts of this trip was being able to go close to wildlife, nature, and feel a part of it.